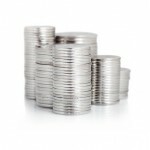 With the White-Hot Demand for Coins, Why Are Silver Prices Falling? Metals started the week in the red, leading investors to ask why silver and gold prices are falling today. 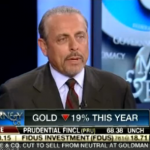 Money Morning Capital Wave Strategist Shah Gilani joined FOX Business' "Varney & Co." to answer that question. He told host Stuart Varney about the big trading move that pushed metals down today. He also explained why he would keep buying gold. Shah also recommended a stock that pays a 10% dividend yield and says the stock will be "safe" as long as the housing market remains stable. Hear Shah's recommendation and his thoughts on why silver and gold prices are falling in the following video. Silver prices this year have left me thinking of the good old days, when prices wouldn’t stop climbing. But, here’s why this low phase is temporary. Billionaire investor Wilbur Ross earlier this month once again suggested that the shipping industry is ripe for investment, presenting a handful of good stocks to buy now. Ross knows how to spot a beaten-down sector and turn its brightest opportunities into mega-profits. This "vulture investor" previously invested in troubled sectors like coal, steel, and auto parts and cashed out years later with enormous gains. Silver prices in 2013 have slumped, but don’t get discouraged. To understand the price outlook in metals, you have to look at these driving forces. Believe it or not, investing in silver right now could double your money. Think about it: In April 2011, silver prices rose by 170% in just 7 months. 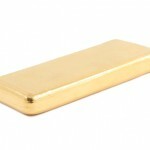 Anyone investing in silver during that period pocketed huge gains and spent a lot less than they would on buying gold. And right now, it looks like the silver market is on the cusp of doing the same thing all over again. According to our research, the next stop for silver prices could be $40 by year's end, and $60 by 2014. And much higher after that. All bull markets go through periods of consolidations and corrections. And precious metals are no exception. On one hand, demand for silver coins is off the charts. In fact, it is so strong even the U.S. Mint is having trouble keeping up with demand. So how is it possible for silver prices to be falling? For the past few weeks, silver prices have been trading sideways. Kitco notes this tight trading range "could be "basing' action that can put in market lows and occurs just before an uptrend begins." For those investing in silver, that's great news. And if you don't think silver prices will go higher this year, here are three charts showing otherwise. We get a lot of great questions from Money Morning Private Briefing readers. But there's one in particular I want to share with you today. “Bill, I know this is a very basic question, but you have me interested in silver. My question is … what kind of silver? I like the 999.9% rounds and bars, but is it better to purchase coins with 40% to 90% content? Then, if I go that route, do I buy cull, junk or do I need to learn collector values? ... I am enjoying your work, thanks!” – Andy F.
This is an important question; I hear some iteration of it all the time from my subscribers, especially as the fear of inflation sets in. Here’s the answer. Gold and silver prices both marched toward their largest gains in more than a week Tuesday joining the uplifting mood on Wall Street. As the Dow Jones Industrial Average reveled in a historic rally that took the benchmark to a record high, commodities also soared. Gold prices settled Tuesday's trading session up $2.50, or 0.2%, at $1,574.90 an ounce, supported by stimulus chatter and a weaker dollar. 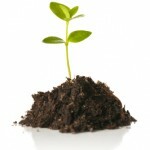 The safe haven metal had reached as high as $1,585.80 an ounce intraday, on course for its biggest leap since Feb. 26. Year-to-date, gold has dipped 5.7%. The commodity logged its fifth consecutive month of declines in February, marking its longest stretch of declines since 1997. Silver prices rose 1.7% to $28.97 in early trading, their biggest gain in more than a week. The white metal ended the day at $28.81. While silver's slip since January has been more modest than gold's, it's well below the $34.89 it traded at during the same period a year ago. But loose monetary policies worldwide, geopolitical uncertainties, rising oil prices and renewed fears of inflation should support, if not boost, both gold and silver prices in the months ahead. Driving gold and silver prices higher Tuesday were comments from Federal Reserve Vice Chairman Janet Yellen. At the National Association for Business Economics conference Monday, the Federal Open Market Committee's (FOMC) Yellen defended the bank's $85 billion a month of bond purchases. "At this stage, I do not see any (risks) that would cause me to advocate a curtailment of our purchase program," Yellen said. Yellen's sentiments mirror that of Fed Chief Ben Bernanke, who thinks continued stimulus will be good for the U.S. economy. Acknowledging there are risks from the Fed's aggressive efforts to stoke the anemic U.S. economy, Yellen added there are also risks from not being aggressive enough. Investors have been buying silver coins at a lightning-fast pace this year. The U.S. Mint even sold out of 2013-dated American Silver Eagles in early January. January Silver Eagle sales hit a record 7,498,000. After suspending sales Jan. 17, the U.S. Mint has allowed investors to resume buying silver coins, but with limits on how many coins dealers can order. The good news: You can still cash in on buying silver coins. But before you buy, you need to know the best deals out there - and the ones to avoid. 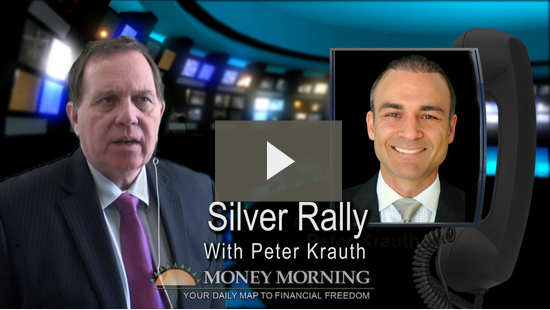 That's why Money Morning Executive Editor William Patalon III explained everything you need to know about buying silver coins in this accompanying video. Silver is one of the hottest investments this year, leading many investors to ask how to buy silver coins before the white metal soars to new highs. Indeed, investors have been buying silver coins at such a rapid pace, the U.S. Mint announced Jan. 17 it had sold out of 2013-dated American Silver Eagles - just 10 days after opening sales to authorized dealers. Opening day sales for the hugely popular bullion coins on Jan. 7 hit a record 3,937,000 coins. The tally of total sales over the 10 days the coins were available exceeded 6 million. Sales resumed Jan. 28 after the Mint replenished its inventory, but on an allocated basis with limited orders. 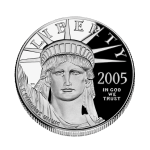 The Mint used the same method in 2009 and 2010 when demand among people buying silver coins also outstripped supply. Twenty years ago China was a very minor factor when estimating the direction of silver prices. Now, the country is a major force both on the demand and supply side of the silver market. 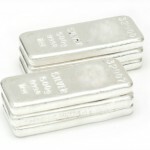 In fact, a recent report issued last month by Thomson Reuters GFMS for the Silver Institute outlined how China's supply and demand was a major developing factor guiding silver prices in 2013 - and the news is great for those investing in the white metal.